Michael Lewis wrote Moneyball and The Big Short. He also wrote Boomerang: Travels in the New Third World, made up of essays published first in Vanity Fair, 2009-2011. 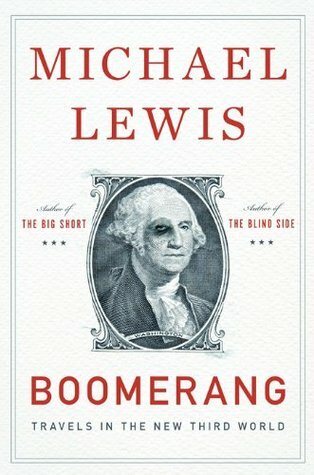 There's a preface with the big shorter from The Big Short, who says that he got himself a million dollars worth of nickels and recommends investing in guns and gold. Lots of people, cities, banks, and countries are in a lot of debt, which could be bad.